Buy discount Military Horse Bits here at the number one Horse Tack Store. Be sure to browse our massive selection of driving bits. This Military Elbow Driving Bit will provide ultimate comfort for your horse. It is made of 440 top grade solid stainless steel which is guaranteed to last for many years. The Ported Military Elbow Driving bit is used primarily with draft horses. This item is made of pure solid stainless steel. 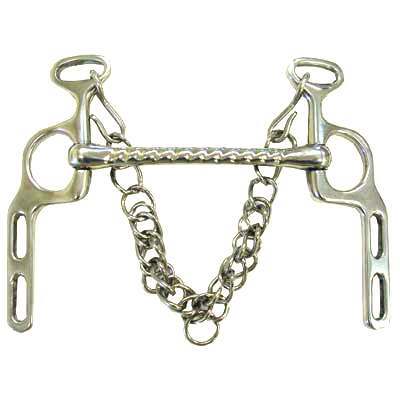 Only the best ported horse bits are available at HorseTackNow. This is one of our best selling products and its on sale now at a wholesale price.